Interchangeable with: THL100. Safety factor greater than 3. NEODYME magnets. 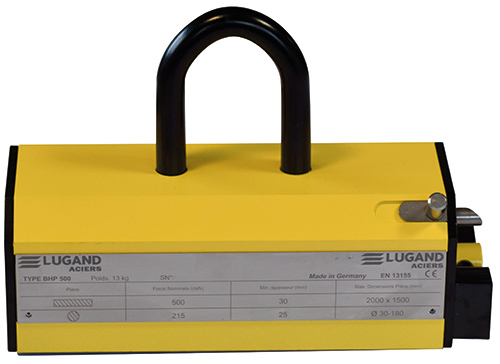 Mechanical locking safety device Standard EN 13155. Ferrous load handling: • for thin sheets, • for flat parts, • for rough or machined parts.